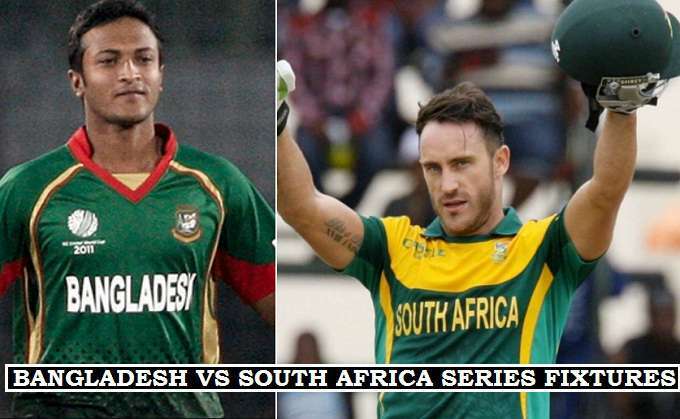 Bangladesh after playing a home series against Australia will make a tour to South Africa. Their performance really matters against the Aussies. Russell Domingo the head coach of South Africa hopeful to win the series at home. The team is lead by AB de Villiers and Faf du Plessis in All three formats of cricket. The first match will played in the last week of September and the series will be finished on 29th October. There are two test matches , three odi’s and two T20 matches will be played. South Africa performance in ICC Champions Trophy 2017 is not pretty good but its great time for the team to make a winning comeback. They are at 1st position in ODI ranking to retain this position they must win all of their matches against Bangladesh. Hashim Amla, David Miller, Quinton de Kock, and AB de Villiers key players to watch in the series. Faf du Plessis will lead team as captain in (T20 & Test) format while one day international skipper will be (AB de Villiers). The T20 matches will be played in the last week of October the first match will played on (26th October) and (29th October).